While the spotlight during last week’s Garnet and Black game was clearly on the former blue-chip recruits now vying for the backup role to Jake Bentley, Jay Urich stole the spotlight in the Swiss Army knife fashion. The redshirt sophomore stepped out of the shadows of the crowded quarterback race and proved his worth and also garnered high praise from teammates. 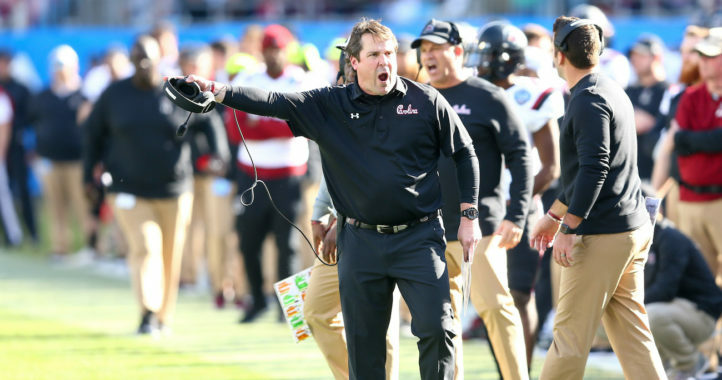 A humble Urich simply said afterward that he just wanted to help the team, and do whatever coach Will Muschamp and the organization need him to do to contribute. 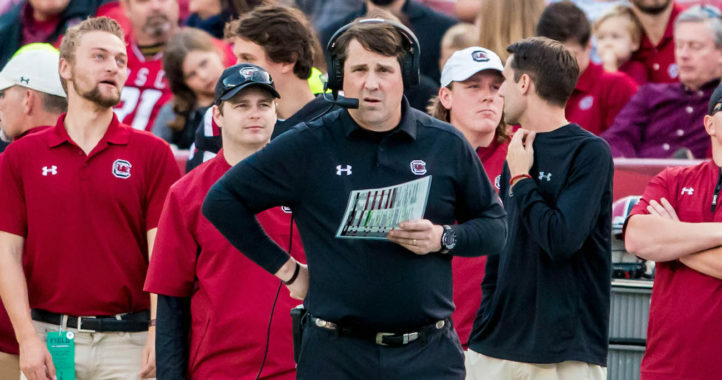 Even after he caught a touchdown pass, Urich still sees himself as a quarterback, as he and Muschamp clarified that Urich would remain in quarterback meetings. Urich will also contribute on special teams. In the spring game, Urich completed 6-of-8 passes for 84 yards, and was also the game’s top receiver as he caught 9 passes for 130 yards. That’s a far cry from his contributions during the 2018 season, was 1 pass for 9 yards against Chattanooga. He also had 1 carry for 14 yards. Urich was previously in the mix to compete for the backup quarterback, but was not considered a serious contender for the No. 2 job. A 3-star prospect out of Piedmont, S.C., Urich was the No. 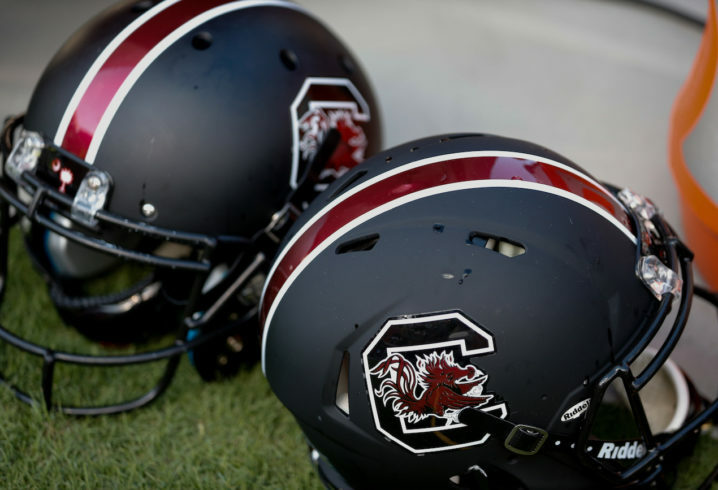 9 prospect in South Carolina in the 2017 class, which included Gamecock commits for 7 of the top 9 players. The 6-5, 205 dual threat QB had 11 scholarship offers, according to 247 Sports, including from the likes of Tennessee, Duke, Appalachian State, Harvard, North Carolina and Northwestern. Even before his breakout performance, Urich clearly gained the respect of his teammates, including veteran offensive lineman Donell Stanley. Perhaps Urich’s biggest highlight was a 63-yard touchdown reception on a screen from quarterback Dakereon Joyner. It was the type of play that forced you to take notice and wonder what other possibilities are there to get him on the field. Hart, a walk-on, last season moved from quarterback to receiver to add depth. He appeared in five games, caught 1 pass for 13 yards in the win over Coastal Carolina, and had 1 rush for 5 yards in the win over Missouri. If this spring is any indication, Urich’s contribution in the fall could be significantly more.